the vilafonte wine blog: 24th July 2005 Nashville - A winemaker's dream weekend!! 24th July 2005 Nashville - A winemaker's dream weekend!! We rolled into Nashville late Friday night after a tiring week of travel and promotion. A weekend 'taking it easy' was in order and needed. We had been invited to stay with one of America's kindest and most prominent wine collectors and his generous Southern hospitality engulfed us. The temperatures were consistently over 100° Fahrenheit (35°C) all weekend with humidity hanging in the air; unusual they said, for Nashville.Nashville, (Tennessee) a Southern city, is the "country and western music" capitol of the U.S. with many large and small music producers, artists and writers. It is also the home of a significant number of wine collectors, and home of a major annual wine auction, Un Ete du Vin, raising funds, usually $1million plus, for cancer research.Hoyt Hill, a dynamic local wine retailer, (Village Wines) met us at the airport. Hoyt, previously a sommelier, is a well connected wine purveyor who works hard to supply his customers with wines they love. Much of his sales are via Internet; connecting with messages to customers when he finds a wine he thinks they will enjoy. He organized a Sunday late afternoon wine tasting (yes, Sunday) and sixty people showed up to taste, and buy, South Africa wines. 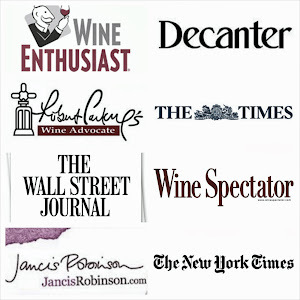 He has "spread the word" about South Africa wines and is a great supporter. Particularly memorable for us Californians was the 1947 Louise Martini Cabernet; still with deep red brick color, rich and smooth; an impressive wine from long ago.And after dinner….a stop at the Bluebird Café, where songwriters Marc Beeson, Angela Kaset, and Gretchen Peters were playing their songs, some made famous by great "country" vocalists. The café is tiny; people crowded together; no talking allowed; very intimate and wonderful to hear this talent. The main launch event of the weekend was Sunday night; our host invited 30 wine collectors for dinner in the main dining room of his 1878 Southern mansion. Josh Weekley, a celebrity catering chef from Nashville; known for his touch with seafood, presented a menu of elegant simplicity. His deft touch complimented our wines, resulting in happily received positive feedback about them.We received an invitation for our "first 10 year vertical retrospective Vilafonté tasting" to be conducted in Nashville in 2015!!! We are 10% toward the goal with 30% (3 vintages) harvested! Yes, it is a long term goal. Meanwhile we committed to a big-bottle of the next vintage, to donate to the Un Ete du Vin wine auction 2006.The weekend was memorable in many ways; for the lovely people we met; the great Southern hospitality; the extraordinary wines; the opportunity to show off what South Africa can do. Monday we fly to Boston.